LIVONIA, MI - MJS Packaging is ready to meet the changing needs of the e-liquid market. New requirements from the Consumer Product Safety Commission (CPSC) mandate the use of child resistant packaging for all e-liquids. As a leader in pharmaceutical packaging, MJS Packaging is pleased offer a complete line of bottles, tips and child resistant closures. 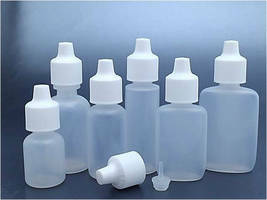 Bottle sizes run from 5ml to 30 ml and include Boston Rounds, Ovals and Cylinders, along with 15mm LDPE snap-fit pointed tips and 15-415 PP CR closures. These CR closures are two-piece, push down turn, and have passed the CPSC protocol for child resistant packaging. All components are manufactured in the United States in cGMP compliant facilities. The packages are child resistant while remaining easy for adults to use. Labeling and decorating options are also available through MJS Packaging. A major provider of packaging solutions founded in 1885, MJS Packaging operates nine sales offices throughout the U.S. Corporate website is www.mjspackaging.com.